Summer is the perfect time for some great escapes. And what better way to escape than through some fantastic reading material. You can dip yourself in to someone elses' life, fast-forward into a future that may or may not be or take a roller-coaster ride into a great mystery or crime novel. Need a few suggestions to get you started? Here we go! In The Angelica Touch by LJ Sedgewick (Janey Mac Books ISBN: 9780995702721), we meet 14-year-old Angelica, who has decided that before she can have a boyfriend, she must find one for her hotel manager mum, Molly. Her solution is to create an online dating website and set up a profile for Molly herself. What could possibly go wrong? A hilarious and poignant story that involves the internet world, a small dreary Donegal town, a match-making festival to rival all others and some really big surprises for Angelica. Who hasn't dreamed of running away to join the circus? Flying Tips for Flightless Birds by Kelly McCaughrain (Walker Books ISBN: 9781406375657) takes us to a small, rural town in Northern Ireland to hang out with the Franconi Circus; in particular Birdie and Finch, twin trapeze sensations. When Birdie suffers a mysterious accident, Finch is left on his own to figure out school, friends, family, life on the flying trapeze, and what exactly happened to his sister. It's a lot to handle. Filled with laughter and tears, this is a wonderful, compelling, quirky read. White Rabbit, Red Wolf by Tom Pollock (Walker Books ISBN: 9781406378177) shows us a contemporary world of the mind, murder and espionage. Peter Blankman is a maths genius with severe anxiety disorder and crippling fear. He lives with his brilliant scientist mother and tough twin sister, Bel who is his protector and his axiom. When his mother is brutally attacked at an awards ceremony and Bel disappears, Peter is driven into a world where violence, state and family secrets blend into one. And Peter, left with only his incredible abilities of analysis, discovers that his greatest weakness may be the thing that saves him. The future can become a very strange place. In Landscape With Invisible Hand by M.T. Anderson (Walker Books ISBN: 9781406379006), when the Vuvv landed a few years ago with offer of a cure for any disease imaginable and technological advancements beyond wildest dreams. But now, there's no work, no clean air or water, no money...only alien technology and a race of beings with a passion for 'classic Earth Culture.' So, Adam and his girlfriend Chloe produce a 1950s-style, pay-per-minute romance show. As they grow to hate each other increasingly with each and every episode, pleasing the Vuvv may not be as easy as it seemed. Great sci-fi in classic form. All Of This Is True by Lygia Day Penaflor (Bloomsbury ISBN: 9781408890936) explores the world of fandom and the lies, obsession and revenge that go with it. Miri, Soleil, Penny and Jonah get the chance to meet their favourite author, Fatima Ro. Together, they scheme and plot to become close to her, never suspected that Fatima has an agenda of her own. Told in a series of articles, interviews and excerpts from the upcoming book, the friends are plunged into a devious and sordid betrayal when they discover Fatima has used their darkest secrets as her plot and exposing them leads to tragedy. An addictive, original, gripping read. Words In Deep Blue by Cath Crowley (Hodder Childrens Books ISBN: 9781444907896) is simply beautiful. Rachel and Henry have been separated by house move, a couple of years and an unrevealed tragedy. They find their way back to each other through a bookshop filled with whispers, dreams, secrets and letters hidden between pages. Working side by side, the pair watch life stories unfold and perish, only to be rebuilt again. Sometimes, second chances (and books) are enough.Life, in all its' uncontrollable, exquisite nature is offered in a realistic, amazing voice; and gratefully accepted by this reader. You will honestly adore The Unpredictability of Being Human by Linni Ingemundsen (Usborne ISBN: 9781474940634). Malin carefully observes everything around her; her Dad's constant yelling, her mother falling apart and her brother lying. She's trying to figure it all out. Because life is difficult if you're Malin; you see things very differently. While Malin looks for consistency and precision, she is beginning to see that life isn't like that. It's big and noisy and messy and filled with unexpected things. Some of them are tragic. A lovely, compassionate coming-of-age story with a brilliant central character. The Weight of a Thousand Feathers by Brian Conaghan (Bloomsbury YA ISBN: 9781408871539) takes us into the world of young carers and begs the question, "how far are you willing to go for someone you love?" In a tender, believable story, Bobby is a young man looking after his MS-stricken mother and his younger brother Danny. An overwhelming task, Bobby holds up admirably with the support of his friend, Bel and the members of his young carers group. But when it comes down to Mum asking Bobby for one last thing, what can he do? This is a book filled with life, humour and love. Climate change has irrevocably altered the world both physically and politically in The Survival Game by Nicky Singer (Hodder Childrens Books ISBN: 9781444944525). It is now a world of mass-global migration, checkpoints, identity papers and strict government control. Mhairi Anne Bain has learned to live her own story, to look after herself. She knows you have to prove yourself worthy at every checkpoint just to survive. When she comes across a young boy with no voice and no one to help him, she slowly and grudgingly makes the decision to take him with her and keep him safe. A chilling and enthralling dytopian tale, it is out in July. Only Love Can Break Your Heart by Katherine Webber (Walker Books ISBN: 9781406369052) is coming in August. Reiko loves to go to the desert at night; to escape the pressures of family life, her own secrets and the 'sameness' of her life. The desert gives her the glorious night sky, the silence and space to be herself. One night, she meets Seth who shares her love of the night and longs for something different. As summer draws to a close, their love starts to crumble. Things are never quite what they seem and sometimes you lose at love to find yourself. A tender, truthful read about becoming who you need to be. Looking for some great recommendations for summer reading? You are not alone. This is the time of year when kids everywhere can put down the 'required reading' and reach for some excitement and imagination. No one wants to hear 'I'm bored!' or 'There's nothing to do!' and of course, as long as you have a really good book, that isn't going to happen. You can read what you want and meet new people; go to new places, even if you aren't traveling far. Anyway, here are some of my very best recommendations of the 'middle grade' variety that are bound to keep everyone happy. If you think you need more witches in your life, you can't do better than Begone the Raggedy Witches by Celine Kiernan (Walker Books, ISBN 9781406366020). It's the first in what promises to be the very best magical trilogy (The Wild Magic trilogy) I have seen in a long, long time. And it is an adventure of a lifetime! Mup notices there are witches following her family, jumping from tree to tree. Not nice witches; horrible, frightening, raggedy witches. When they kidnap her father and her mother changes dramatically, Mup must journey to the other land on a perilous rescue mission. Intriguing, exciting and simply delicious...just read it! I have...3 times. The House With Chicken Legs by Sophie Anderson (Usborne ISBN: 9781474940665) draws us into the world of Marinka, who lives with her grandmother, Baba Yaga. Babas' job is to help spirits cross between the worlds and to do so, the house travels wherever it must. Surrounded by the dead and with no living friends, Marinka longs for a different life...one with friends and games and a normal family. But her desire reveals a dreadful secret and an adventure that crosses the boundary between legend and reality. More dead people await us in Embassy of the Dead by Will Mabbitt (Orion Childrens Books ISBN: 9781510104556). When Jake opens a box containing an ancient dead finger, he accidently summons the Grim Reaper who is determined to send him into the Eternal Void. But he isn't on his own. Jake has a company of weird and wonderful ghosts who have come to his aid. Hilarious fare with just the right amount of fright. If it's werewolves you're after, you must read The Girl Who Ate The Stars by Caroline Busher (Poolbeg ISBN: 9781781998694). In a stunning combination of historical fiction and fantasy, Lottie and have come to Ireland to escape the bombings of WWII England. Suddenly, they are plunged into a dramatic turn of events and must cross the portal that leads to a savage world. The seek a wolf-girl named Cuan who eats the stars to survive. Gripping and poignant. 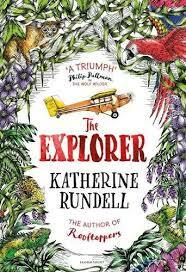 The Explorer by Katherine Rundell (Bloomsbury ISBN: 9781408854877) takes us into the lives of 4 children who find themselves alone, survivors of a plane crash in the Amazon jungle. With no hope of rescue, they must work their way through to find a way home. But it seems someone has been there before them. This is a classic-style adventure that will leave you on the edge of your seat throughout the entire story. 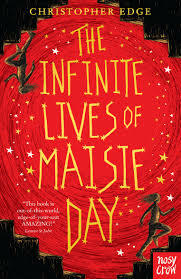 The Infinite Lives of Maisie Day by Christopher Edge (Nosy Crow ISBN: 9781788000291) takes the reader on an adventure through science, time-travel and family ties. Maisie awakens on her birthday hoping she'll get everything she needs to build her own nuclear reactor. But when she wakes to an empty house and an all-consuming blackness, Maisie realises she may have received a gift she didn't bargain for. Exceptional science-based adventure that really makes you think and keeps you gripped. Sarah Moore Fitzgerald gives us an adventure of a different sort in The List of Real Things (Orion Childrens Books ISBN: 9781444014815). After her parents died, Grace very quickly learned the difference between what is real and what isn't. Little sister Bee sees things differently and it is up to Grace to watch over her. But during a violent storm, at an old run-down clifftop hotel, the line between reality and fantasy become blurred forever. Such a beautiful tale of family, friendship, loss and enduring love. The Storm Keepers Island by Catherine Doyle ( Bloomsbury ISBN: 9781408896877) takes us deep into the heart of family legacy, ancient Irish myth, the magic that lies within storms (and candles! ), and home-coming to who we really are. Moving, poignant and packed full of adventure , this is the story of Fionn Boyle who comes to his ancestral home for the first time, only to discover that an ancient evil is awakening and his true destiny awaits. I cannot express how truly wonderful and enthralling this book is...there simply are not enough words. It is one that will change your perspective. That's just a few...there will be more coming in the next few days, but it's enough to get you started. 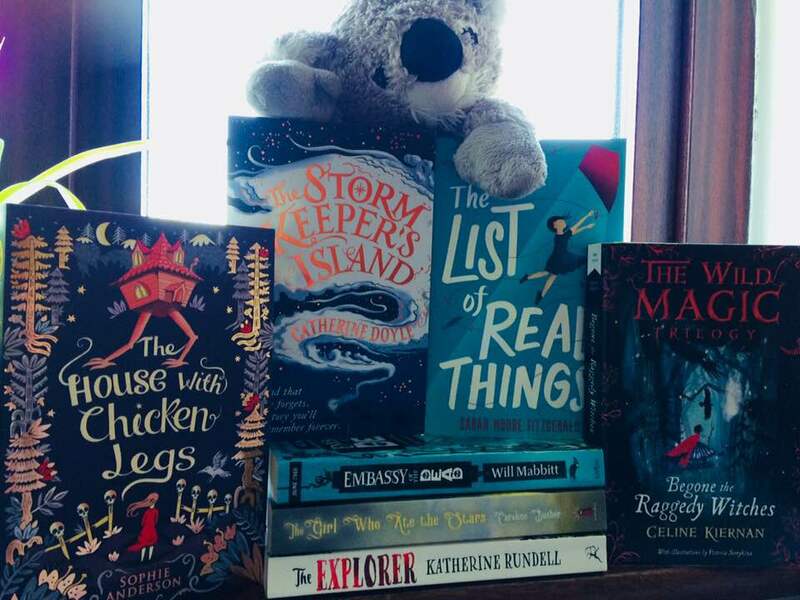 All of these are wonderful books for ages 9+ and will open up doors of adventure over the coming summer months. So, get reading! The winners of the CILIP Carnegie and Kate Greenaway Medals for 2018 were announced earlier today at a ceremony in The British Library in London. Widely regarded as being the most prestigious awards to be given to writers and illustrators working in children's' literature, this award is unique in that they are judged by librarians. 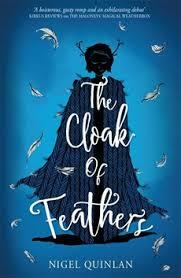 Geraldine McCaughrean has won her second CILIP Carnegie Medal, thirty years after her first. 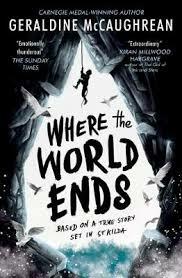 Where the World Ends, her winning title, dramatically explores the destiny of a collection men and boys stranded on a remote and inhospitable sea stac when their rescue boat fails to collect them and was inspired by an 18th century historical record from St Kilda. In her acceptance speech, McCaughrean voiced concerns about the 'dumming down' of children's literature and petitioned writers to challenge their young readers by presenting them with a vocabulary (in their writing) that demands exploration and allows children to think for themselves. 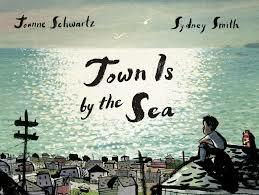 Town Is By The Sea gifted Sydney Smith with his Kate Greenaway Medal. With exquisite, atmospheric illustrations, Smith depicts a wondrous and intimate tale of a young boy contrasting the vibrant and beautiful seaside day with the stark and dreary world of the mines that lie beneath. In the response to his book, Smith discovered that this was a tale that had vibrations across the planet, though the story itself was very specific to time and place. Smith said; "Although this story is specific to a place and a time, the context of childhood is universal. There is something so beautiful about the universality of the complicated richness of youth..."
McCaughrean and Smith each received £500 worth of books to donate to a library of their choice, a £5000 cash prize from the Colin Mears award and a specially commissioned gold medal. The Amnesty CILIP Honour commendations this year both had very strong themes of empowering children and young people to stand up for their beliefs and show courage and determination in shaping the world around them. Angie Thomas received her Amnesty Carnegie Honour commendation for The Hate U Give, a powerful YA novel that tells the story of 16-year-old Star following the shooting of her best friend by a white police officer. Inspired by the Black Lives Matters movement, it projects a strong and truthful voice in depicting a horrific circumstance faced by far too many young people today. The Amnesty Kate Greenaway Honour commendation for illustration was given to Levi Pinfold for his work in A Song From Somewhere Else. This book explores themes of acceptance, friendship, betrayal and standing up for what is right. The illustrations portray the importance of kindness and generosity of spirit, particularly toward those who see the world from the shadows. 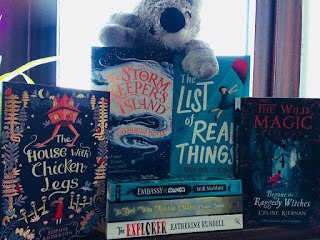 In my view, all the winners of this years CILIP awards show a trend; an opening of vision in childrens literature toward a more considered and at times, challenging world view that quite appropriately call young people to really look at the world around them. Events today can allow the young to feel more vulnerable, confused and isolated. Books such as these offer respite, comfort but, even more to the point, choice, determination and empowerment. Congratulations to all the winners. And to all you readers out there, if you are looking for recommendations; these. 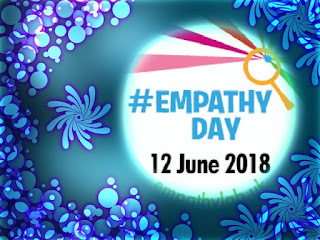 What is Empathy Day, you may well ask? 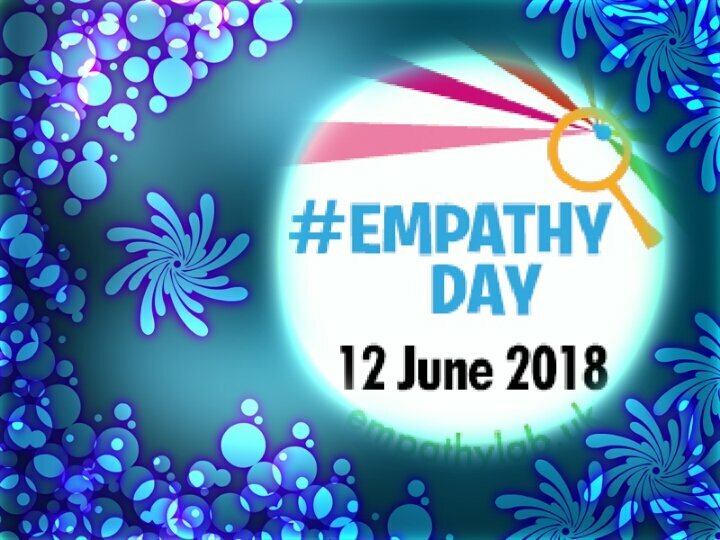 Empathy Day was founded by EmpathyLab as an annual event after a very successful pilot programme in 2017. It's focus is to use reading as a tool to promote empathy and build understanding toward other people, as scientific research as proven that reading books causes us to think more deeply and considerately about others. Books have a unique property. They allow the reader to step into another life and view the world from a different perspective, perhaps even a perspective that they would not experience apart from reading. They can challenge prejudice and help create understanding. In a world so filled with division and suspicion, the ability to step outside our own experience, even for a moment can make a world of difference in the lives of so many children, wherever they may be. EmpathyLab has created events, programmes and, most importantly a reading list to help you...ALL OF YOU...take part. There are an incredible number of excellent book recommendations out there to help foster empathy and understanding in young people. But I do have to add my voice with a few recommendations. 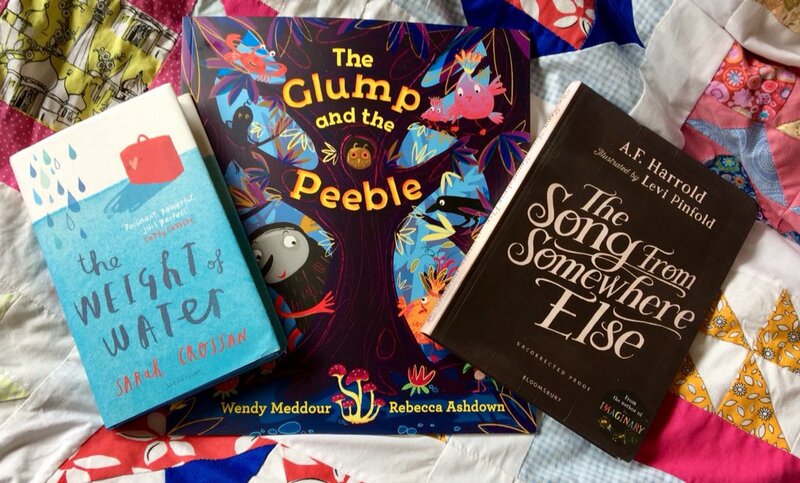 The Glump and the Peeble by Wendy Meddour (illustrated by Rebecca Ashdown) is a wonderful picture book about being appreciated and understood for who you are, and being comfortable in your own skin. Quirky, filled with delight and humour...it's a warm and wonderful book to share. 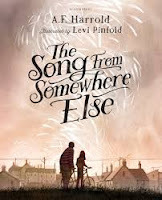 The Song From Somewhere Else by AF Harrold (illsutrationsby Levi Pinfold) examines the depth of curiosity and conflict when encountering someone who is, well, different. Friendship, suspicion, putting yourself on the line for another and overcoming the seemingly impossible are eloquently explored in this very special book. The Weight of Water by Sarah Crossan is simply stunning verse novel that covers feelings of alienation and loss, while developing into a wondrous coming-of-age novel. It shows quiet courage and strength without being weighed down by sentimentality as the story of one girls' journey from her homeland unfolds. Check out the EmpathyLab for more suggestions, and join in the discussion on Twitter! What will you read for Empathy Day? 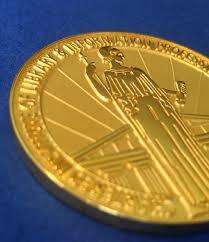 The Children's Book Award is the only award given in children's literature voted on entirely by children. Running since 1980, the award has been given in the past to such wonderful and now familiar voices in kids books as Roald Dahl, JK Rowling, Malorie Blackman, Rick Riordan, and Jacqueline Wilson. Over 1100 books are read by the testing groups and over 150,000 cast each year. The testing groups are comprised of children over three categories; younger children (picture books), younger readers (6-11) and older readers (10-18). From these groups, each year category winners and an overall winner are chosen.... again, and I can't stress this enough, BY CHILDREN! This, I feel gives the most accurate representation of which books, out of the thousands published every year, are the best reads for kids of all ages. So, after this introduction (also called the boring, but essential to understand bit) let's get on with this years' winners. The Overall Winner and Winner of the Younger Readers category is; The Explorer by Katherine Rundell (published by Bloomsbury.) 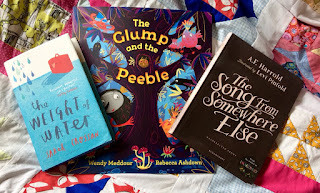 Rundell has emerged as a firm favourite of mine, penning books that appeal, not only to children in the 'appropriate age group', but with a much wider appeal. The Explorer is an exceptional story, recalling such classic works of kidlit as Treasure Island, Kidnapped, The Little Prince and Journey to the River Sea; while adding its' own style of boldness and bravery to the mix. A brilliant, brilliant adventure story, I can't think of a better winner! Congratulations to Katherine Rundell. I am thrilled for you. There are 2 other categories, as I've said and the children have chosen very strong, wonderful winners. In the Younger Children (picture book) category, the award for 2018 goes to: I Dare You by Reece Wykes, published by Anderson Press. 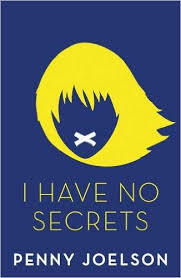 The Older Readers (10-18) have chosen I Have No Secrets by Penny Joelson, published by Egmont. Congratulations to you all! This is a wonderful award to receive, particularly because it is the children, your reading audience who chose your books! 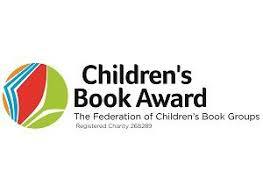 For more information on the Children's Book Awards, such as shortlists, former winners, etc. just follow the link below. I first met Marguerite Tonery late in 2014 when she published her first book, Kapheus Earth. This marvelous story instantly transported me to another world; a world of enchantment and legend, of dragons and talking woodland creatures, of Grandmother Oak who imparts her wisdom and protection on all she surveys...the world of two ordinary children, Elisa and Jamie, whose lives are transformed forever by a magical drawing that takes them to face their true destinies. It was followed by Kapheus Air in 2015 and Kapheus Water in 2016. Later this year, Kapheus Fire will join the series and this journey will take a different turn. (Yes, I've read the manuscript...no, no spoilers!) Off the back of Kapheus, Marguerite has launched Tribes Press, an independent self-publishing company with the aim of helping indie writers to realise their potential and self-publish their books. 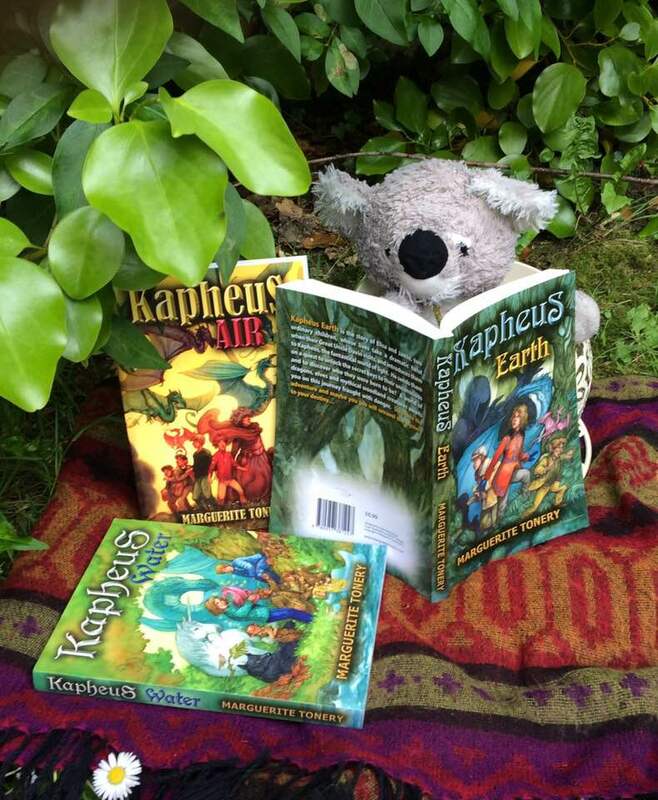 I had the opportunity to ask Marguerite a few questions about Kapheus. I think you'll find the answers fascinating, as they open up another dimension for these amazing reads. MEJ: Where did the name ‘Kapheus’ come from? It’s meaning? MT: Ka is the Sanskrit for light, and this to be a book series that was about the fantastical world of light. 'Phe' is found in Greek and has the meaning to speak or be spoken about, and I like the idea of a book being spoken about. By now I had Kaphe and it was a lilt from then on to create the word Kapheus. MEJ: In these books, there is a very special relationship between our contemporary world and the world of ancient myth and legend; the impact they have on each other. Can you explain your feelings on that? MT: I find when I write that the words flow through me. I think the mix of contemporary and the world of ancient myth and legend is still very much alive in each one of us and it will flow through us in our words, thoughts and deeds. It is probably more about Carl Jung's theory of psychology when he wrote several books on archetypes and how our psyche contains elements that are common to all human beings. These elements find their ways into all our lives regardless of the culture in which we have been immersed. MEJ: Intergenerational themes are clearly important in the story, with the older characters acting as mentors to the children. 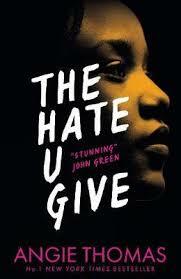 But rather than circumvent the parent/child relationship, it seems to bring it to the fore as the books continue. (Most authors don’t do that.) Can you talk about the exploration of family relationships in Kapheus and how the use of travel between the magical and ‘real’ worlds effects this? MT: When I read books as a child, the common theme as I saw it was parental-child conflict, separation and so on, such as in the Narnia books and in Alice in Wonderland. The parents were very separate entities and were distant to the children. 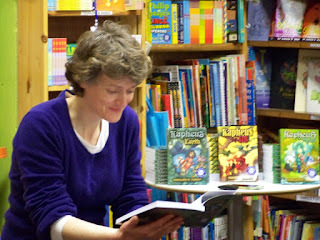 There are always the generational gaps and breakdowns in understanding that occur, but I wanted to give children who read the Kapheus series the opportunity to look at the world through the eyes of the grown ups at times and to be able to ask for help and to receive it when they needed it. I wanted to impart some knowledge onto the children from the adults in the books when it was that Elisa and Jamie's parents didn't have the skill set to deal with a particular thing. I wanted to place the parent-child relationship into the heart of the Kapheus series and to give both parents and children alike the platform to work through difficult moments. There are many things left unsaid between parents and children and this can often give rise to resentments and misunderstandings. I want to use the richness of this to drive understanding in the reader. MEJ: There is a strong appreciation and respect of the natural world in the books. The titles reflect the elemental nature of the continuing story. Can you talk about the importance of this? MT: I can only write about what I know. I love nature and I spend time in it everyday. I see the fox and the badger and rabbits and a whole host of animals each day and nature is what keeps me grounded. I would never be able to write about life in an apartment block in New York, and you know, a child said that he loved Kapheus, because there are so many books about cities and apartments. He wanted to read about other stuff like the animals and the trees and nature. It was nice to hear this from a book worm. MEJ: Simple question: do you believe in magic? MT: Yes. Who doesn't? Ireland is after all the land of leprechauns and fairies and mythological legends. Everywhere you turn there's a story about a mythological hero. MEJ: From going on the self-publishing journey with the Kapheus series, you have now founded Tribes Press, a self-publishing company in April of this year. What were your reasons for doing this? Where do you hope to take it? MT: I saw that there was a need for it. There are a lot of people self-publishing at the moment and they fall into traps and lose money. I have been through the process and have gained a great deal of experience along the way. I wanted to set up Tribes Press to support people in getting their book to the market without all the stress. I also wanted to support them in the promotion of that book and even help authors translate their books into another language in order to access a wider book market. I want to see Tribes Press grow over the coming years and for it to be the go-to publishing house for self-published authors. 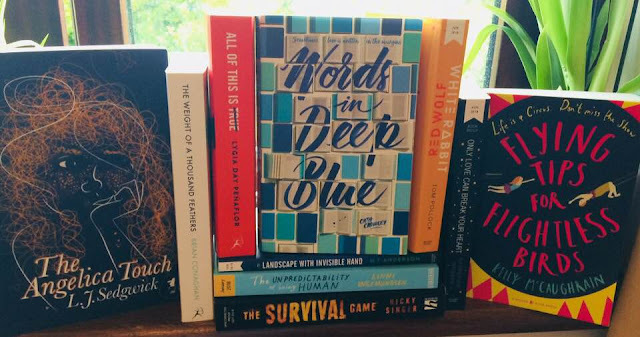 Kapheus Earth, Air and Water make fantastic reads for any tie of year, but with the summer months upon us, these books will keep the young bookworms in your life absorbed and excited about reading at a time when there are many other distractions. 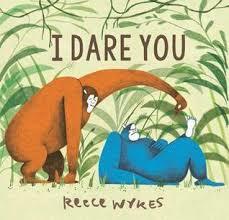 They also make fantastic books to share for your own storytime-togetherness reading. You can find the Kapheus series in bookshops and they are available to order from Tribes Press.